Tanzania’s Serengeti region is expecting a business boom thanks to the inaugurated tarmac highways and those plated for the months to come. The opening of the 32 km Mkuu-Tarakea highway in Rombo District, Kilimanjaro Region took place late October 2012. Immediately after, the Tanzanian Government started the fourth phase to construct a tarmac highway from Makutano Juu in Musoma to Mugumu town in the Serengeti District. The Serengeti Highway which would also link Mto wa Mbu with Loliondo will boost the economy of Serengeti District and Mara as a whole. It will create business opportunities between Serengeti and Musoma town. The number of tourists entering Tanzania via the Tanzanian-Kenyan border and use the Tarime-Mugumu Road when visiting western Serengeti, is said to have significantly increased in recent years. The road will boost tourism in Tanzania. The boost will greatly affect the travel sector in Mara Region which host a large part of the World Heritage Site Serengeti National Park (SENAPA) and Lake Victoria beaches. Mara is one of the top Tanzanian mainland regions rated to have the best road work and construction. The new highway will significantly boost further development and the transport sector in the area. For this reason, Serengeti District leaders, ordinary people and local leaders have welcomed the construction of the road to tarmac level. 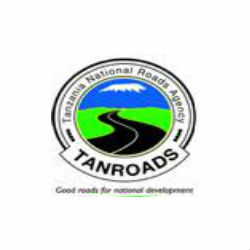 The Tanzania National Roads Agency (TANROADS) has in the recent days held crucial talks with the contractor as part of final stages ahead of the commencement of the project. According to Mara Regional Tanroads Manager, Engineer Emmanuel Korosso, the next phase of the project will involve Sanzate – Natta- Mugumu road covering approximately 74 km. Tanroads in Mara Region is responsible for maintaining regional and trunk roads covering 1274.9 km. The World Heritage Site Serengeti National Park covers 104.6 km of that. Official records available indicate that the amount of money being sent by the government for development of the road network in Mara Region has been increasing every year. The government pumped TZS 11.3 Billion (USD 7 Million) for improvement of the road network taken care by Tanroads during 2011/2012. According to officials, this amount has increased to TZS 14Billions (USD 8.6 Million) in 2012/2013. At the same time the Government of Tanzania says execution of the project will skip 53 km cutting across SENAPA in order to avoid any damage to the Park’s ecology.